Another Dimension a New Galaxy. 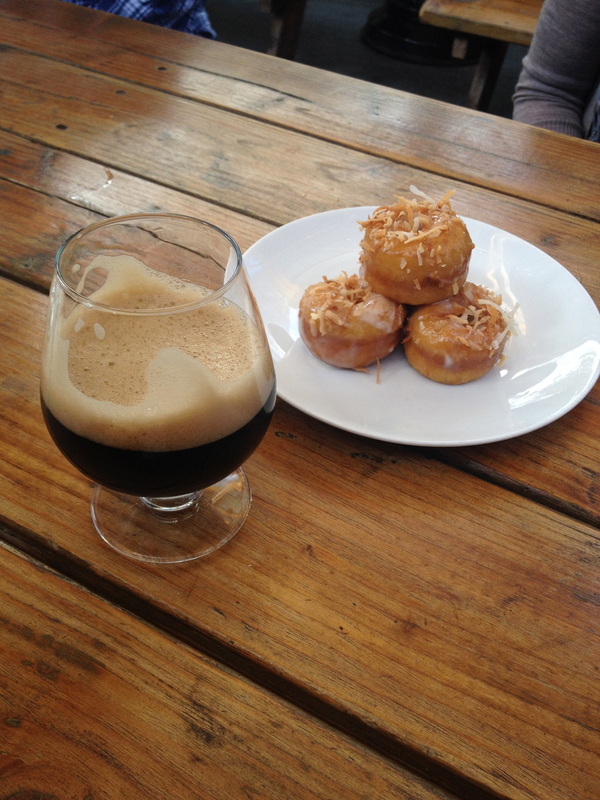 Check out the Space Oasis Coconut Porter. Place won’t break your bank account. Also don’t expect food trucks all the time. filed under: on that Hiero circa Third Eye Vision. This brewing company has been slowly showing up on my feed. I’ve seen posts of flights via Instagram. Nothing compelled me to give it a try until SDBW because of Intergalactic Brewing’s Keep the Pint night. 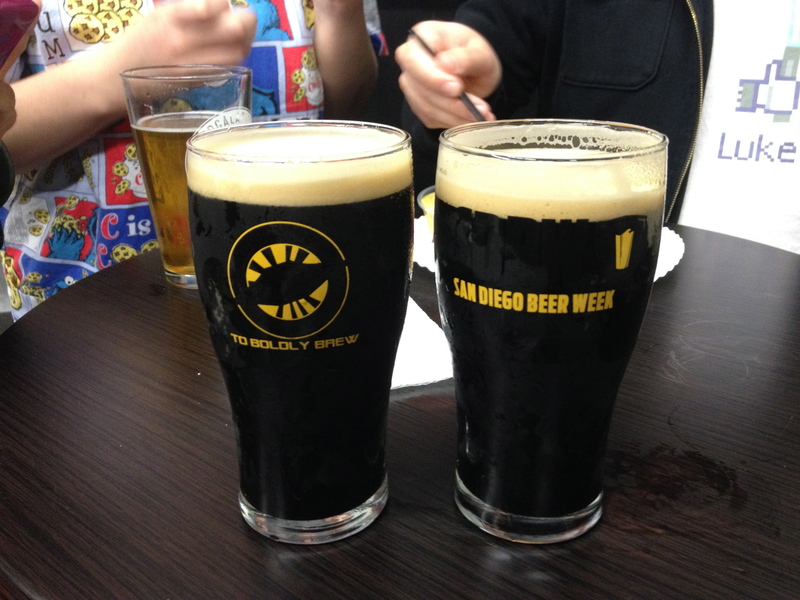 They paired the free pint glass with their Galactic Coffee Milk Stout which they offer on nitro. So that’s an easy win for this dark enthusiast. To even get to Intergalactic Brewing reminds me of watching Storage Wars where you walk in these micro-small business areas out here in Miramar and each little unit is somebody’s place of business. The brewery itself is hidden in the back lot amongst the trees and outer dimensions. Don’t worry there’s signs around the lot if you feel lost. 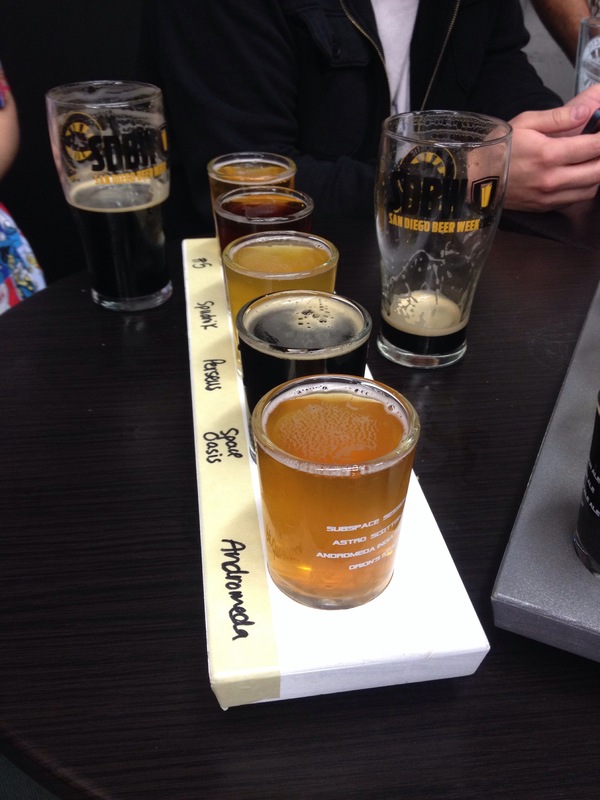 This small brewery impresses with the variety of pours available for a small operation. They boast twelve taps available and pictured above was Red Shirt #5 Saison, Spudnik Sweet Potato Ale, Perseus IPA, Space Oasis Coconut Porter, and the Andromeda IPA. It’s fairly easy for folks to instantly draw comparisons to Hess Brewing. They still have a long way to go, but they’re definitely doing something right.